The new *star services function in the same way as the original reverse NS and MX to provide you with all domains sharing the same nameservers or MX records. However, you will find that this search gives you much more diverse results. For example, the simple Reverse NS check-up of the record ns01.domaincontrol.com finds 1 113 263 connections /to date/. 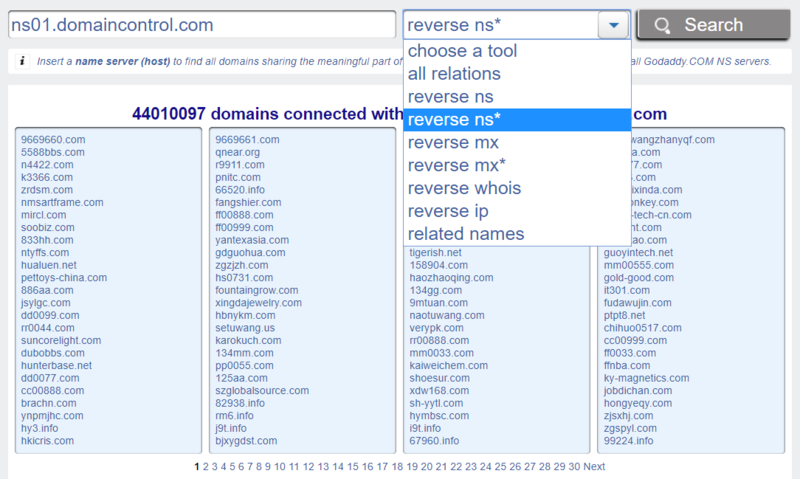 However, if you run the new Reverse NS*, you will come up with 44 010 097 related domains by NS, i.e. all nameservers under the domain domaincontrol.com. The same applies to the new Reverse MX*. For example, google.com has the following MX record recordalt4.aspmx.l.google.com. 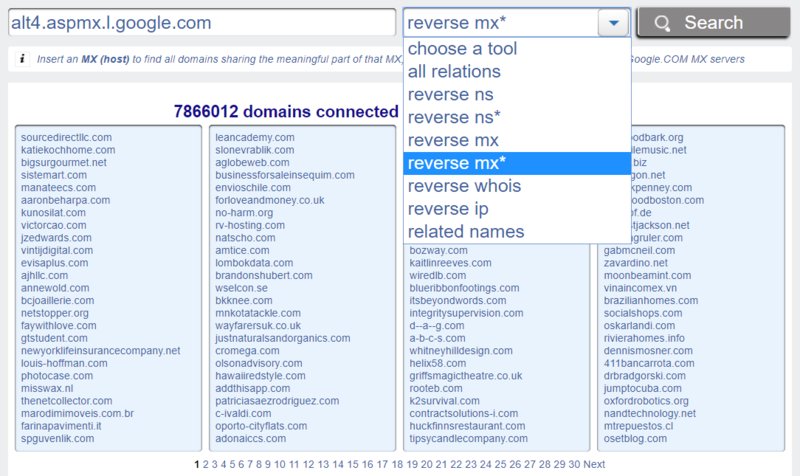 A reverse MX finds 1 951 104 domains connected with it, while a Reverse MX* finds all domains connected to google.com, which to date are 7 866 012. This can be particularly useful if you need to find more interrelations between domains and also, to uncover some domains that otherwise may be difficult to reach.